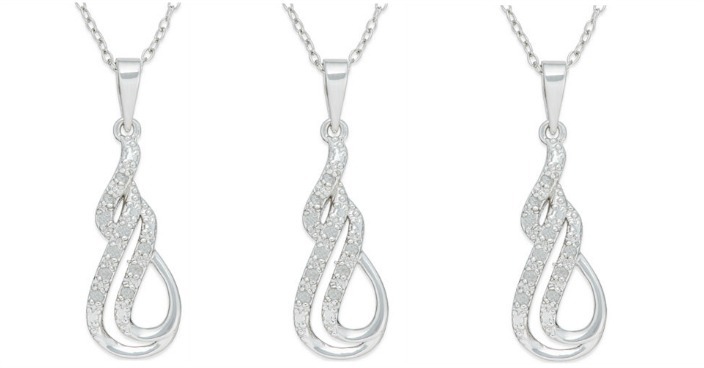 Diamond Double Row Swirl Pendant Necklace Only $15! Down From $100! You are here: Home / Great Deals / Diamond Double Row Swirl Pendant Necklace Only $15! Down From $100! Macy has this Diamond Double Row Swirl Pendant Necklace on sale for $25 (Reg. $100) but you can get it for only $15 when you use promo code FUN (20% off ) at checkout! Plus you can get FREE shipping on any $25 order or with any Beauty purchase! You may even be able to get FREE in-store pickup!